The Dead Bug exercise is one of my favorites to use on myself and my clients. This movement helps strengthen the core, improve anterior core stability, encourage more of a posterior pelvic tilt, and works on motor control while minimizing pressure on the lower back. Who doesn't like an exercise that does all of that and also feels like a brain game at the same time? During the movement make sure your lower back stays flat on the ground, so no arching, and you exhale while moving the contralateral limbs. This exercise is meant to be performed slowly, so no rushing through it, alternate sides for most of these variations, and always reset to the beginning. Here are some form tips to help you get through the exercises. Beginning position should have you looking like a dead bug! Arms are extended above you, fingers pointing towards the ceiling, your feet are off the ground and are lined up with your knees and your knees are bent to 90 degrees to line up with your hips. Back is flat on the ground. Inhale and as you exhale slowly press out your right foot as you slowly move your left arm toward the ground so your thumb touches the ground above your head. Keep that foot flexed and lower back stays flat on the ground. Bring it back to the beginning position and perform on the other side. Alternate, making sure you reset at the beginning each time. Now the attached video has 4 variations from easiest to hardest. The last one you would perform all reps or time on a contralateral side before performing on the other. If you give it a try, I would love to hear how it goes and contact me if you would like to learn more about how I can help you on you health journey! In order for your body to create stronger muscles, your body has to break them down and rebuild those muscles which will cause some muscle soreness or discomfort. This will usually last from one day to three days after your workout and of course, everyone's pain tolerance is different and has a different threshold, but exceeding that threshold can result in pain. There are signs that you can look for to tell if it is healthy muscle soreness or if it is a possible injury. Check out this article by Move Forward that will explain in more details and make sure you check out their chart to help you out in the future. 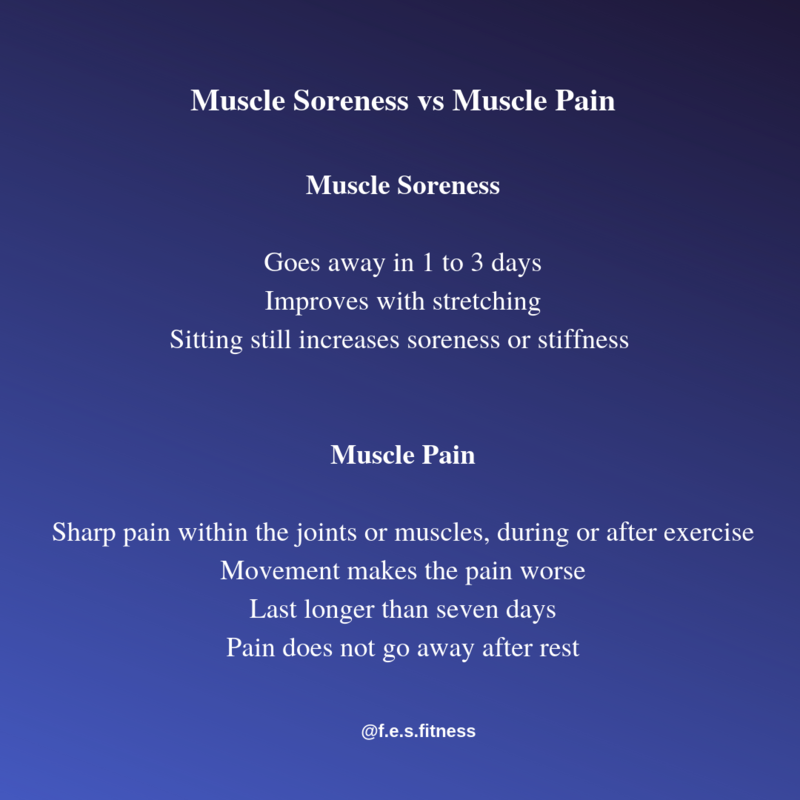 Knowing the difference between muscle soreness and pain will help you prevent injury. I think I am going to keep it short and sweet this morning! There are so many components to our running form, I spoke about one, the arm swing a couple of weeks ago and this week I just want to briefly break down two that you should be considering. Don’t pound or stomp the feet. - You want to think light and quite, if your stride sounds like a herd of buffalo then you are hitting the ground too hard. We already are putting a major impact on our bones, joints, and muscle from running you are not helping it out any by striking those feet so hard. Lighten it up, guys. Keep those shoulders down and back. - When you tense up those shoulders, you are not only tightening up those muscles unnecessarily but you are also affecting your posture, which will affect your running form. 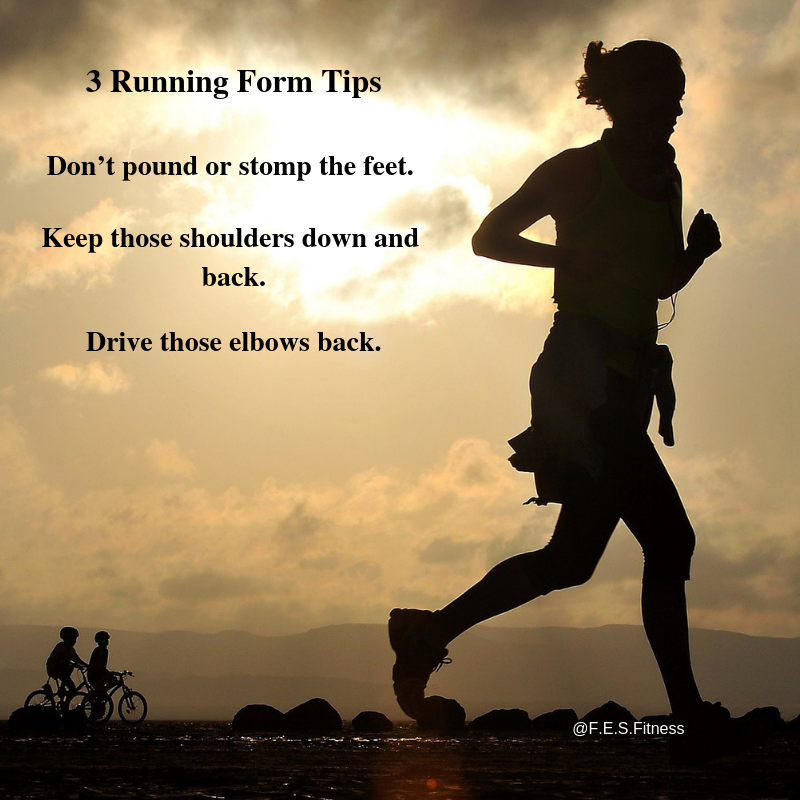 These are two of my top pet peeves, besides the arm swing, when it comes to our running forms. Check out this article by Runners World that will give you some more tips. I love learning new things and I also like sharing them with you, so I am sharing some new information on collagen that I recently learned. As you may know, collagen helps with hair and nails since this is mainly what we see advertised. Studies have shown that collagen can also help with muscle and tissue repair and joint pain, which will help with your recovery after a run or hard workout. Here are my two findings that I want to share with you because I want to make sure you are getting the full benefit of whatever way you are getting collagen into your system. Yes, bone broth is the preferred natural way, but sometimes a supplement comes into play and personally I do take a collagen hydrolysate protein powder daily. Taking Vitamin C with your collagen can improve collagen synthesis. See picture below for how it works. 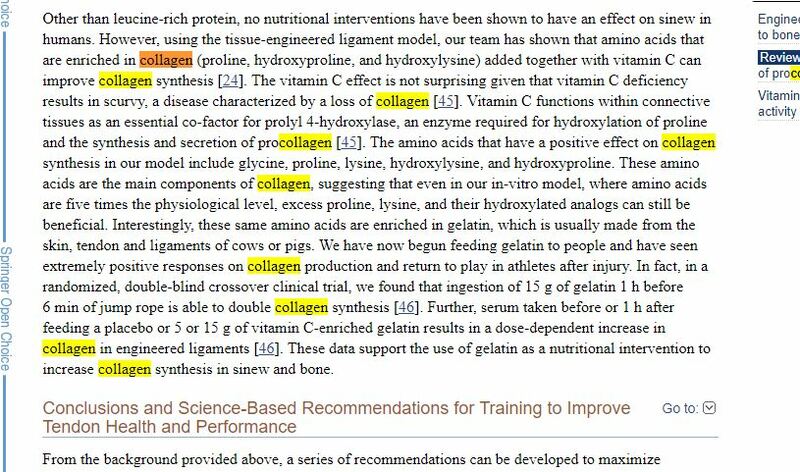 Consuming collagen gelatin 30 to 60 minutes before your workout/run is estimated to double collagen synthesis, which can help with the tissue and bone development. In my opinion, when we are choosing to incorporate certain nutrient and supplements to help our bodies the more information we have the better. Knowing when to implement them and what with will only give you a better chance at achieving the goal you are trying to achieve with that given nutrient or supplement. I love to eat and like to get my nutrients through foods, but at the same time, I know that sometimes I need to supplement too and only have two that I use. Do your research and choose your ways wisely. Check out the link below for further information, it is a long read but if you scan down toward "Nutritional Interventions to Improve Soft-Tissue Function" section you will find the information that I pulled my findings from. Towards the end of January, I posted about how sleep can help with bone health, in fact here is the link to my blog just in case you missed it, https://bit.ly/2GzEnnN, and my clients and I have also been talking about tart cherry juice as an aid for sleeping. So, of course, it only made sense that I should mention foods that could help. I mean who doesn’t like to eat, I know I do especially when I know that the nutrients from those foods will help repair my body from all that I put it through, help it function properly and assist in sleeping too. I am not a big tea drinker and many of you already know about warm milk, there is plenty of information out there on those that I am going to skip that one. Check out this list of fruit that contains melatonin to help you fall asleep faster. Complex Carbs - Can help with your serotonin levels. A Handful of Nuts - Can help to regulate your sleep and wake cycle. Cottage Cheese - Contain the amino acid tryptophan that can help increase your serotonin levels. If you are having problems sleeping and would like to go the more natural route, which I always suggest, give some of these a try. You may have to play around with a combination of things or you may find that just one certain one helps. Also, consider adding fruit and vegetables that are high in antioxidants since they can help counteract the stress from a sleep disorder. If you would like some more information, here is the link I used for my post.